Defence Minister Nirmala Sitharaman Friday said her ministry has made a "clear demand" to the Finance Ministry that once defence budget is allocated, the unutilised part of it not be sent back to consolidated funds. She was addressing a gathering after releasing reports on indigenous research and development and cyber security, prepared by think tank Vivekanada International Foundation (VIF) here. "The long-term perspective plan (in defence sector) is becoming a rolling long-term perspective plan," she said. 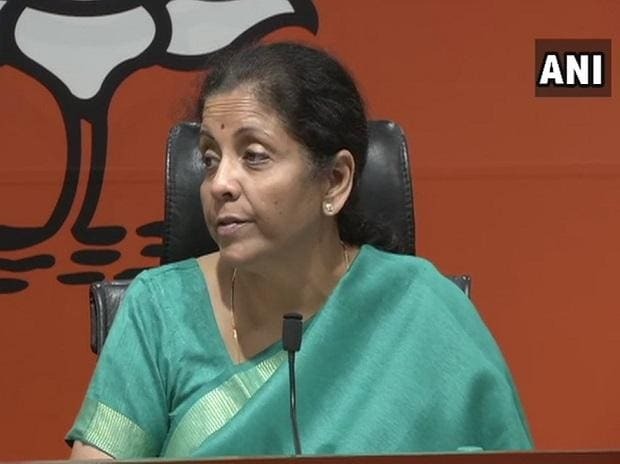 Sitharaman also said that sometimes what is budgeted for doesn't happen that year, so the unutilised money goes back to the consolidated fund, and the next year when it matures, one is "still grappling" because of the "patch way we planned". "But, we will ensure, and we have talked with the Finance Ministry...and made a clear demand to it that once a defence budget is allocated, the unutilised part shall not go back to the consolidated funds. "And the committed expenditure whichever year they may happen, will happen from this fund which will probably get accumulated," Sitharaman said. The Defence Ministry has made sure the negotiation with the Finance Ministry is happening, she said. "I can confidently say there is a positive response from the Finance Ministry. But we are close to the election time, so we have to wait for the new government to come. This is something on which there is a clear understanding between the Finance Ministry and us (Defence Ministry), so can only see it happening in the near future," she said.